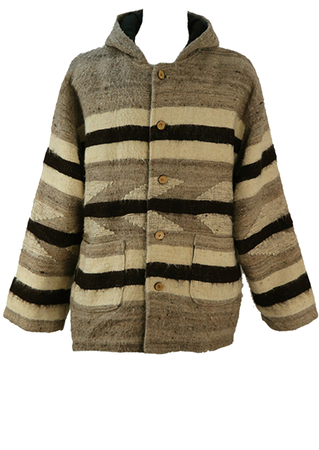 Warm grey casual fit coat with brown and cream stripes and a subtle Aztec style pattern. 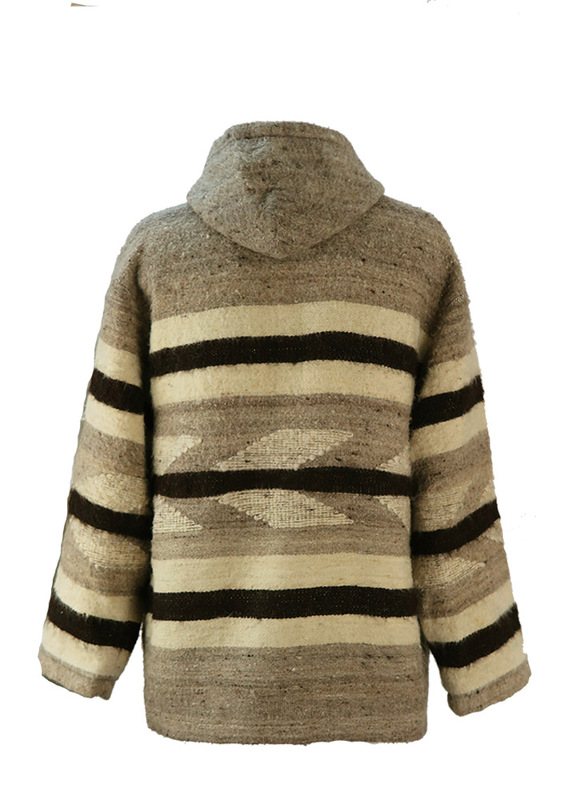 The coat includes a hood and roomy front pockets and is lined in black. 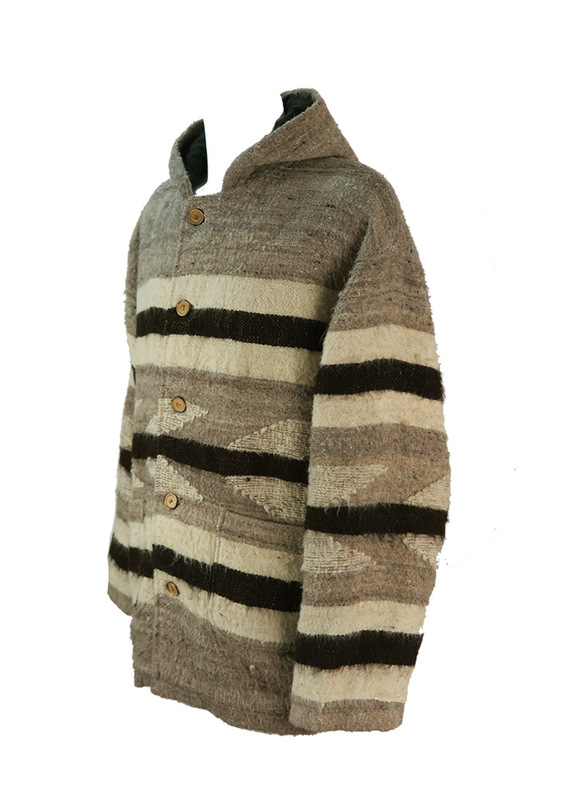 Although there is no fabric label, the coat has a woollen feel to it, possibly with a blend of Alpaca due to the long wool fibres that feature throughout the coat. We have sized the coat as an L for a relatively loose fit and as an XL for a slightly closer cut without compromising the intended casual design.